MIDTOWN, Manhattan (WABC) -- Six firefighters were injured, one seriously, battling an early morning fire Sunday at a commercial building in Midtown Manhattan. The six-alarm fire broke out at about 1 a.m. at a building on West 29th Street. 50 units and 240 firefighters responded to the blaze. 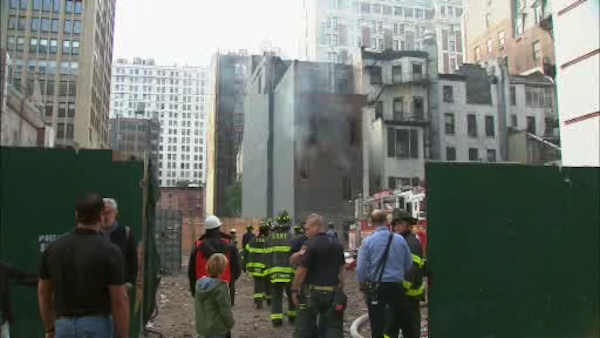 Five firefighters suffered minor injuries and were taken to Bellevue Hospital. A sixth firefighter suffered serious injuries and is in stable condition. The property was unoccupied. The initial fire was reported on the first floor and later extended to the second floor.